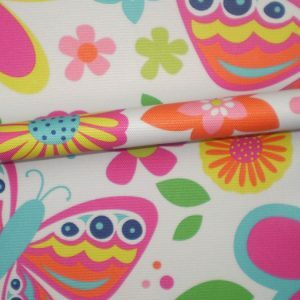 Orders from 1 linear meter and great discounts for fabric printing by the roll. 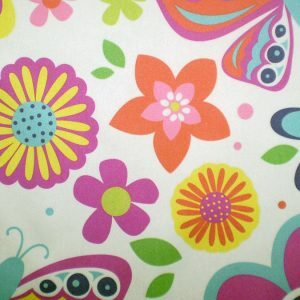 Large selection of high quality textiles for fashion, homeware and upholstery. 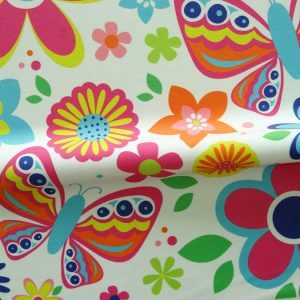 Sharp and full colour print is permanent and imperceptible to the touch. 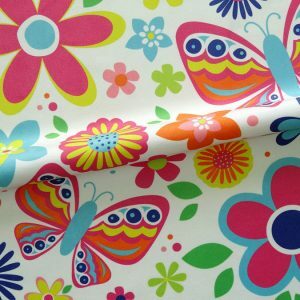 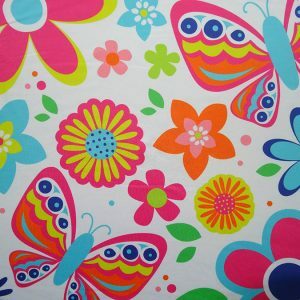 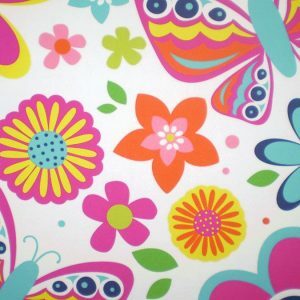 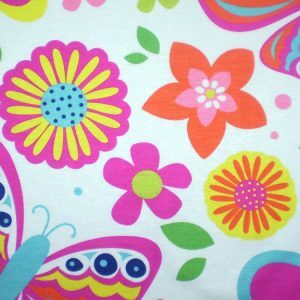 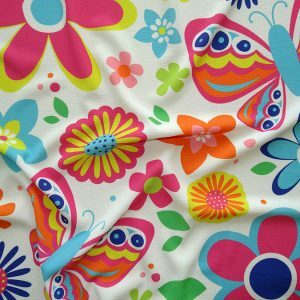 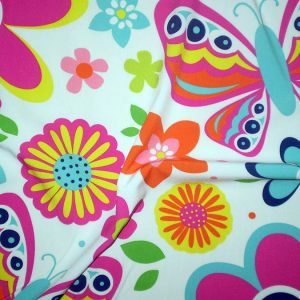 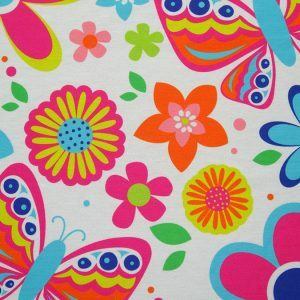 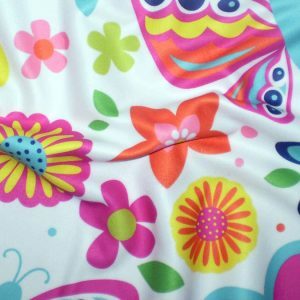 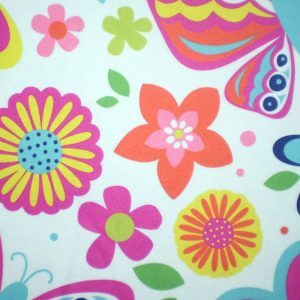 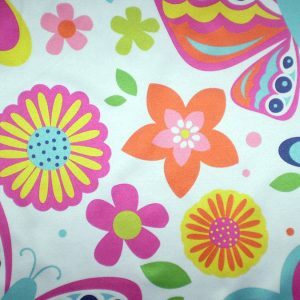 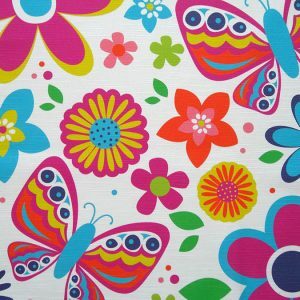 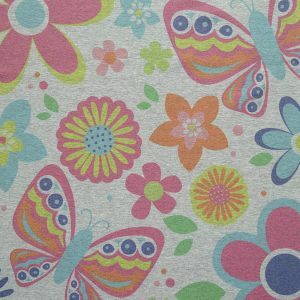 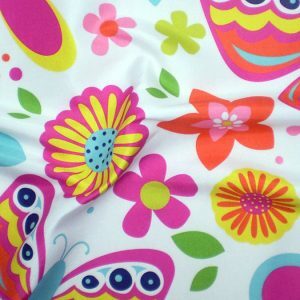 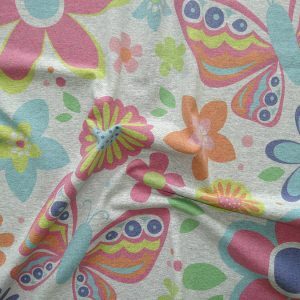 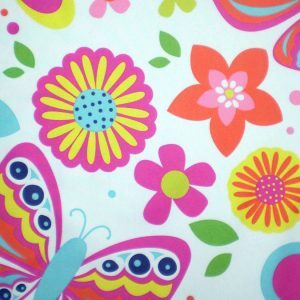 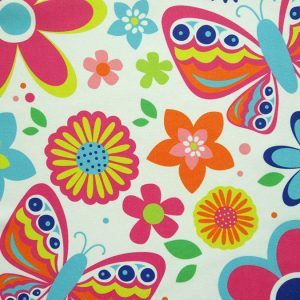 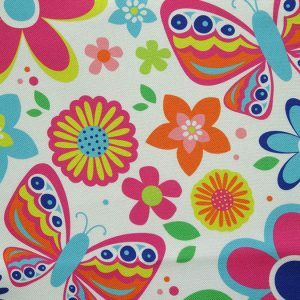 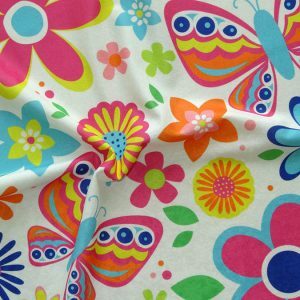 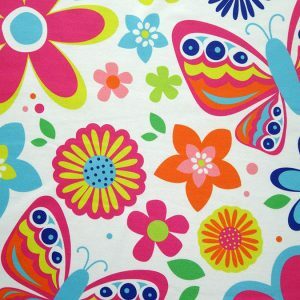 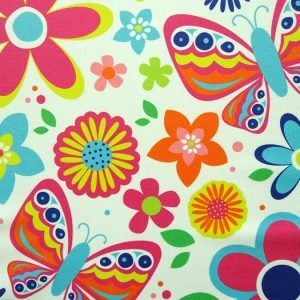 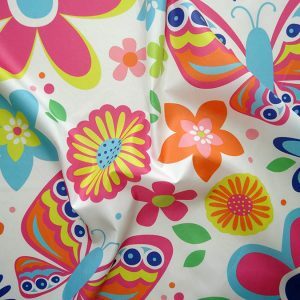 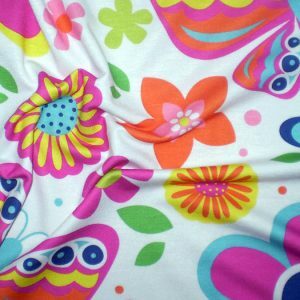 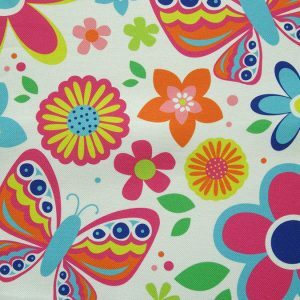 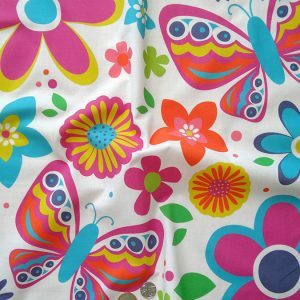 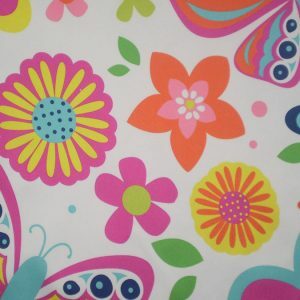 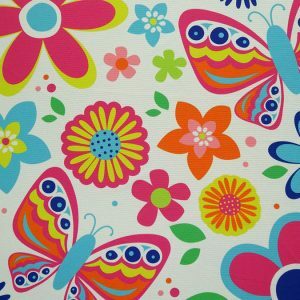 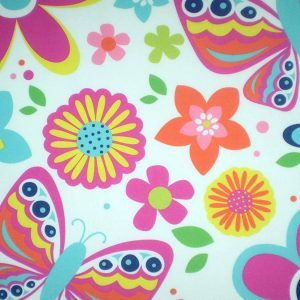 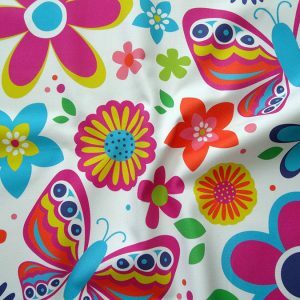 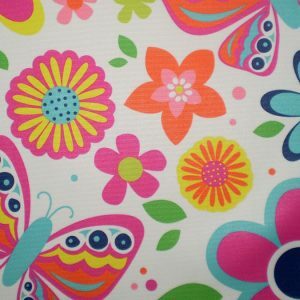 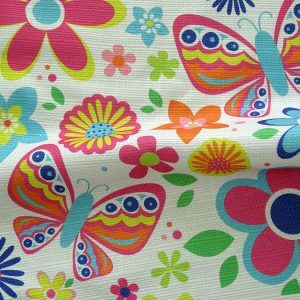 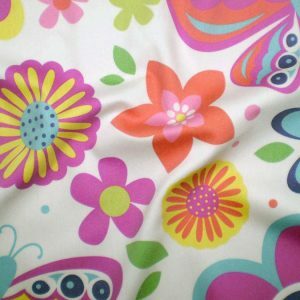 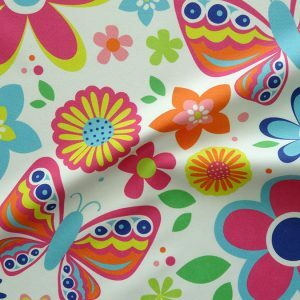 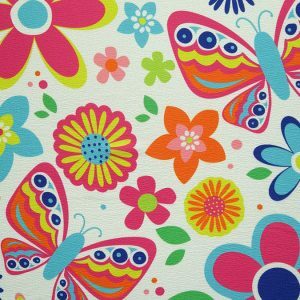 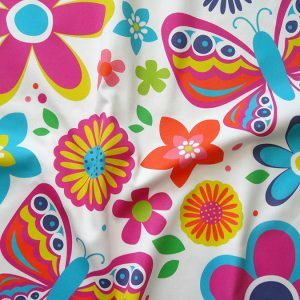 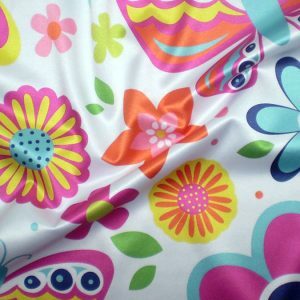 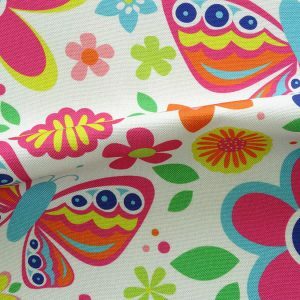 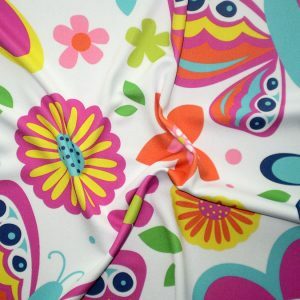 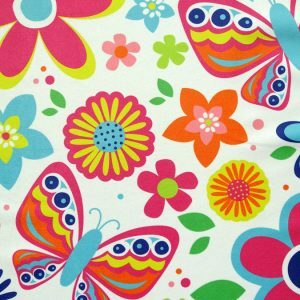 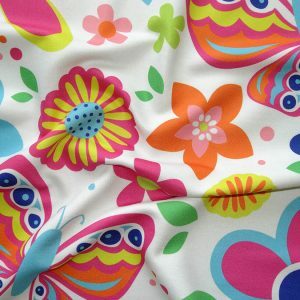 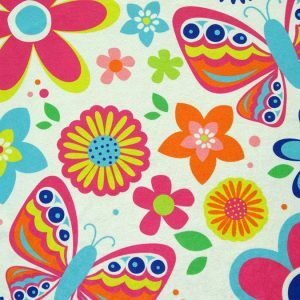 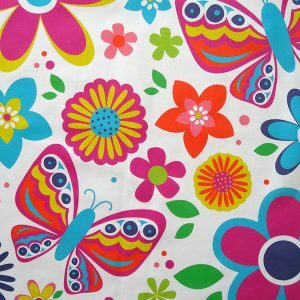 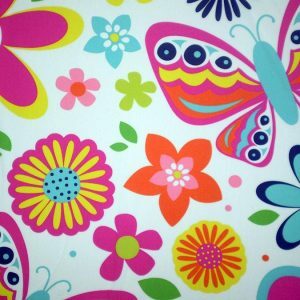 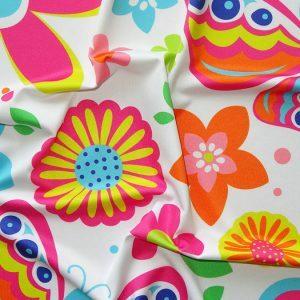 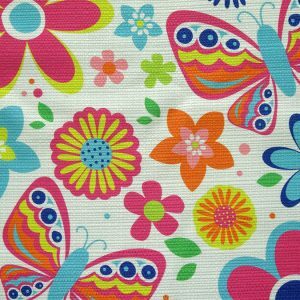 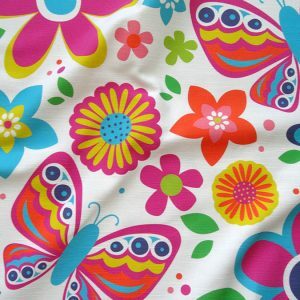 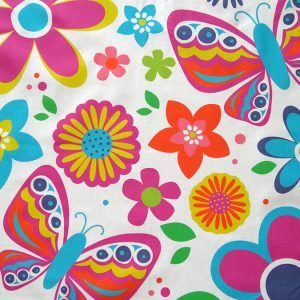 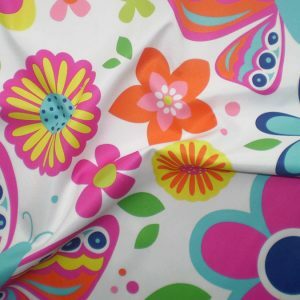 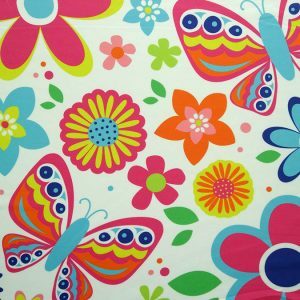 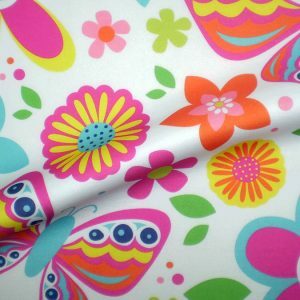 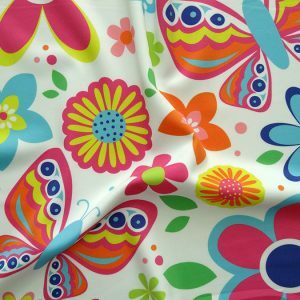 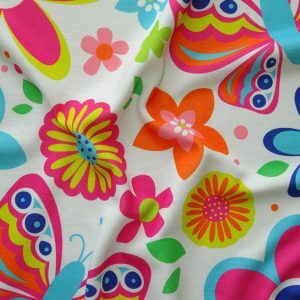 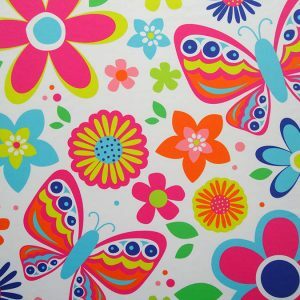 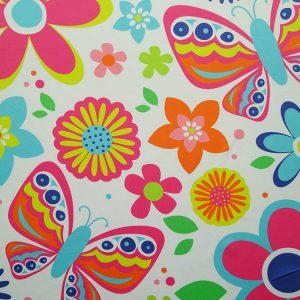 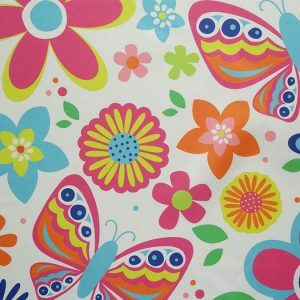 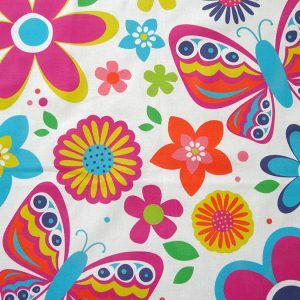 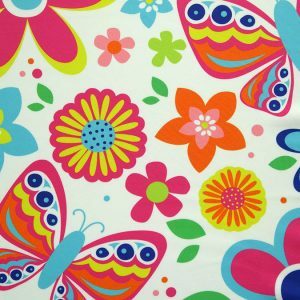 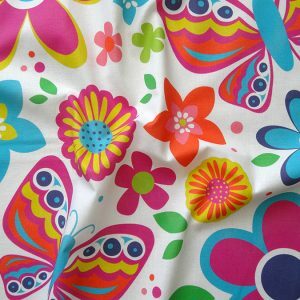 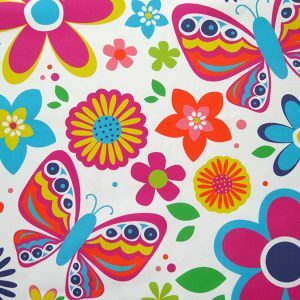 Design your own fabric with our digital fabric printing service! 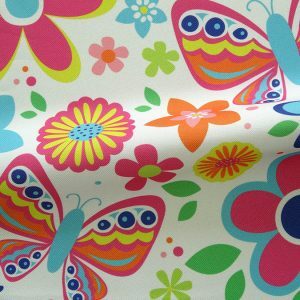 Our company offers custom digital print on wide range of high quality textiles for fashion, home-wear, upholstery, theatre and custom projects. 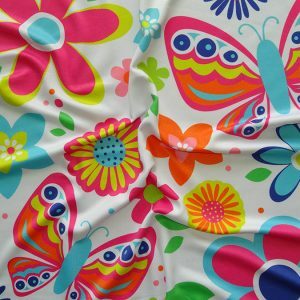 We truly believe that about 50 different types of fabrics that we offer will satisfy the most demanding needs and requirements of our customers. 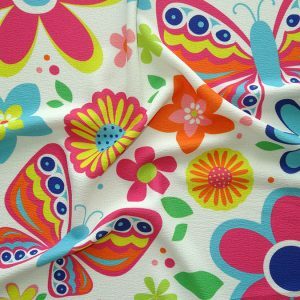 Our selection includes polyester, blends and knitted textiles for dye sublimation printing and natural cotton printed with eco-friendly Japanese inks with no minimum order and fast turnaround. 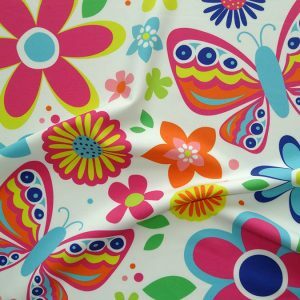 Thanks to close relationships with fabric manufacturers we have selected products that are fully compatible with our printing techniques, which guarantees high durability and best performance of our printed fabrics. 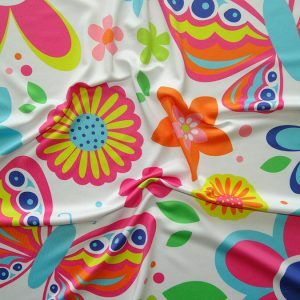 All for the sake of the best quality final result – custom designed fabric that truly reflects uploaded artworks.